The York Rail Innovation Community exists to connect the depth of rail expertise in York with each other, and with innovative capabilities outside of the rail sector. 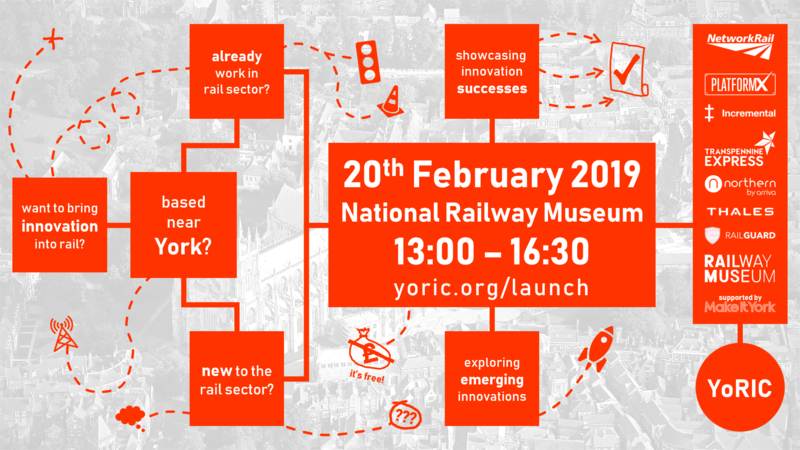 We're here to help local organisations with innovative ideas understand the rail industry, and how to engage with it, whilst also showcasing innovation from within and outside the industry to local rail businesses, to catalyse more innovative thinking. Our launch event brought this community together for the first time. Session 1: Showcasing recent innovative achievements in rail, aspirations, and routes to market. learn about the routes to market, and innovation schemes/funding available. learn about new innovative concepts and technologies. Agreeing the themes for future YoRIC events. Click here for full line-up, agenda and presentations.